A professor of Sanskrit is not someone youa��d picture sitting in the directora��s chair. But G Prabha, the former head of department of Oriental Languages at Loyola College in Chennai did the unexpected when he wielded the megaphone recently for his dA�but film, Ishti. And if that wasna��t challenging enough, he made the feature film in Sanskrit, with Malayalam cinemaa��s veteran actor, Nedumudi Venu. a�?As a teacher of Sanskrit and as someone with a creative bent of mind (he writes short stories in Malayalam), I thought I should make a film in the language that flourished in India. Except for a couple of movies made by GV Iyer (like the 1993 National-award winner, Bhagvad Gita) no one has attempted it,a�? begins Prabha, adding that he had to put his dream project on hold for over a decade, while searching for a producer, before deciding to bankroll it himself. Ishti means the search for self and is pegged on a Namboothiri Brahmin family in Kerala, from the 1950s. Inspired by the life of social reformer VT Bhattathiripad, he says he took up the story a�?because it is of a community that uses Sanskrit. It is also a progressive tale that challenges the status quo of the timea��a time where only the oldest son could marry from within the community, child marriage was still prevalent, with men in their 70s marrying teenage girls, and education was not encourageda�?. Prabha, who cut his teeth on two Malayalam documentariesa��Akkitham (2010), on poet Akkitham Achuthan Namboothiri, and Agneya (2014), a film on Brahminical ritualsa��admits that writing the script took over eight years, with visits to Namboothiri families and libraries filling in key details. He also did a film appreciation course at Punea��s Film and Television Institute of India, before wielding the megaphone. a�?Since the film was not made for a big-screen release, I wanted performers, not stars. 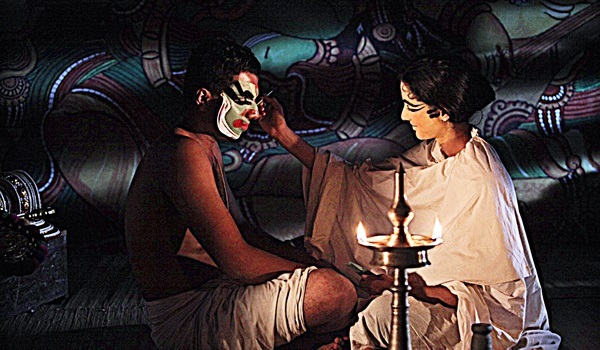 While I knew Nedumudi Venu fit the patriarcha��s role, I looked to theatre for the others. FTIIa��s acting professor, Jijoy PR, is also one of my actors,a�? he says. The biggest challenge was getting them to learn their lines. Prabha had one-on-one sessions, translating and transliterating the lines, and helping them master the pronunciation. a�?Nedumudi Venu was the only one who didna��t have much trouble since he has done Sanskrit plays earlier,a�? he shares. With plans to screen Ishti at film festivals, and take it to universities abroad that teach Sanskrit, Prabha chuckles that someone who watches a a�?Baahubali might not like it, but then again, after you watch Ishti, you might wonder what kind of a film Baahubali isa�?.